Mesh Tulle and Mikaella Lace Wedding Dress. 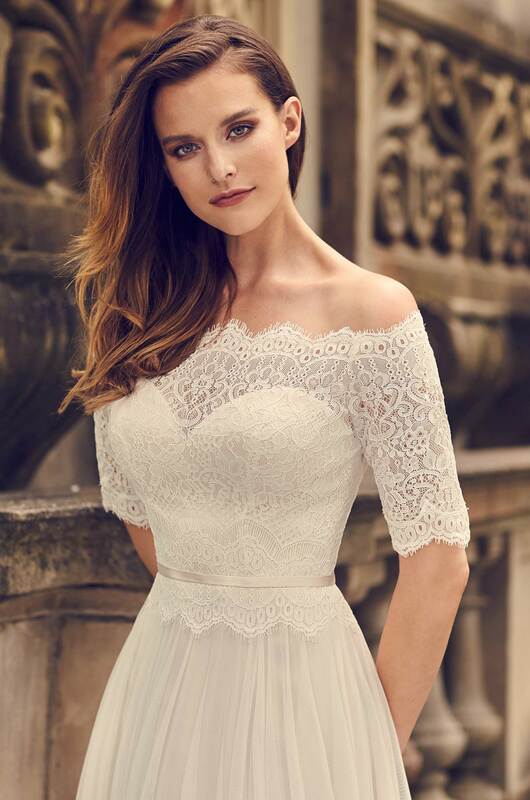 Off the shoulder Mikaella Lace bodice with sweetheart neckline on lining and sheer lace back. Scalloping along neckline, sleeves, and waist. Elbow length lace sleeves. Fabric belt at waist. Full Mesh Tulle skirt. Available colours: Champagne, Blush, and Natural.